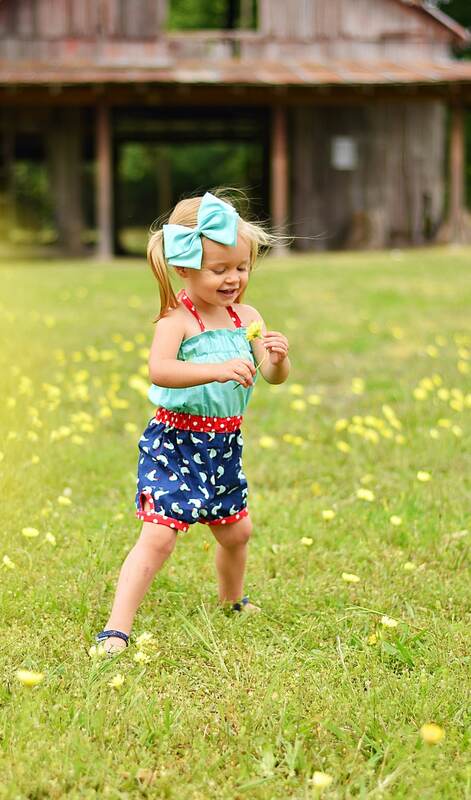 Girls Summer Romper, One Piece! Simple bones, but with great details! 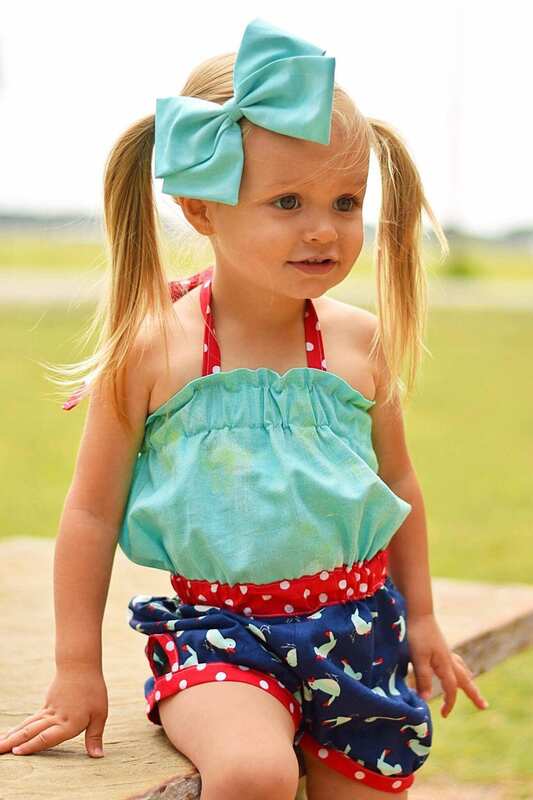 Elasticized Chest, Waist and Halter Tie, make this a comfortable cool outfit for these hot southern summers! 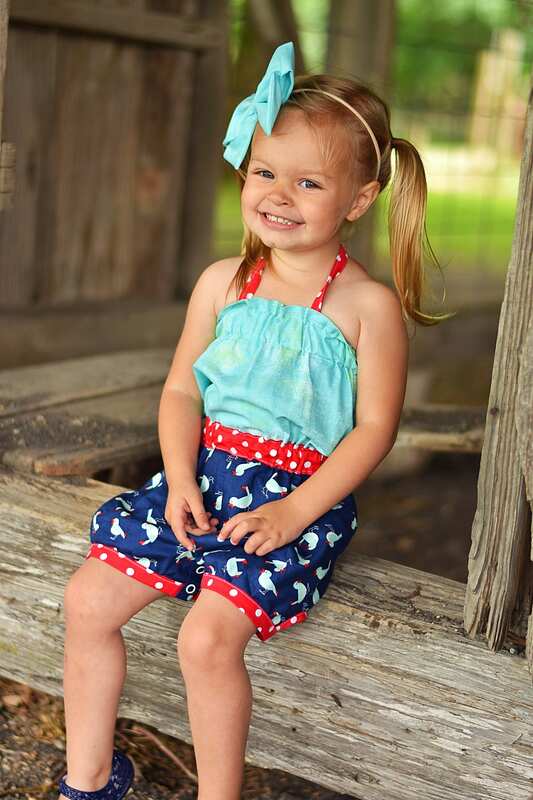 Navy Bottoms with Aqua Blue Birds , top is a variated Aqua trimmed out in red and white polka dots. The shorts cuff detail is adorable! Check the chart below for your size!